Firestone student artists in Spring exhibition! 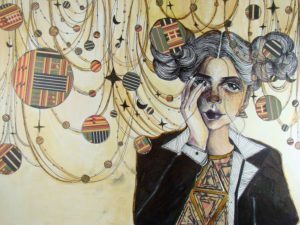 Come see the wonderful work of students in the Firestone High School Art Department displayed in the Transition Gallery of Summit Artspace. The show is one week only from March 25 to April 1. The show will open with an artist reception on Saturday, March 25, 1-4 p.m. in the gallery. The reception and the exhibit are free. Summit Artspace is located at 140 E. Market St., Akron. During the time the FHS exhibit is at Summit Artspace the gallery hours are: Saturday, March 25, noon-5 p.m.; Thursday, March 30, and Friday, March 31, noon to 7 p.m.; and Saturday, April 1, noon to 8 p.m. Akron Artwalk is 5-10 p.m. on April 1. Visitors will also be able to see three additional galleries with recently-installed shows. All free. Artist studios/shops will be open. On April 1 for Artwalk (5-8 pm) there will be featured pop-up shops and music too at Summit Artspace. The galleries will be open and artists will be welcoming visitors in to see demos, talk art and show their creations!